The Monument to the Great Fire of London is a beloved tourist attraction and historical tribute to a major disaster. 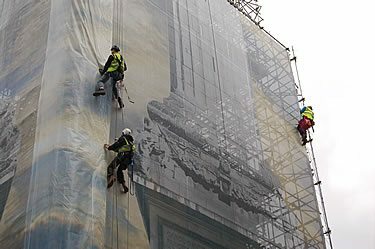 So how do you install a printed facade wrap on the monument? Why, slowly and carefully of course! And you call in a company of experts like Project Print Management. The Monument attracts thousands of visitors every single year. So it was deemed extremely important to retain its beauty and functionality when a refurbishment was called for. A revitalisation was planned to bring new life to the Monument. The Monument was closed in 2007 for repairs and upgrades. The scaffolding needed to be encased with a digitally printed facade wrap we call Monument wrap. 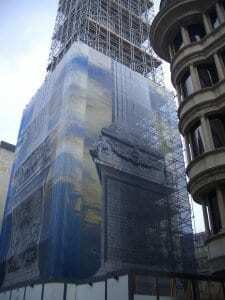 This mesh printed wrap needed to double up as both a protective covering around the scaffolding structure, and an attractive printed building wrap during the construction work. Monument wrap makes it look like the scaffolding is not there! 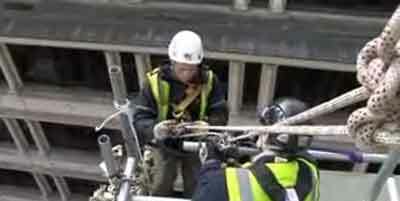 Justin Murray was contracted to provide the Monument wrap to encase the scaffolding installed around the Monument. 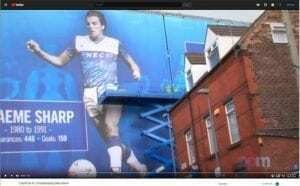 Images of The Monument underneath were printed on 25m X 15m panels using a high speed Scitex Superwide digital print machine and then welded together using a hot air welding machine. The printed panels were then hoisted up the monument’s 202 foot shaft and fixed into place by a team of well trained rope access riggers. It was a marvellous spectacle befitting the historical beauty of the Monument, and the excitement of the installation was only paralleled by how wonderful the final result turned out. Locals, government officials and tourists all agreed – the Monument wrap looked amazing. For more information on Monument wrap call us now or visit our building wrap page.